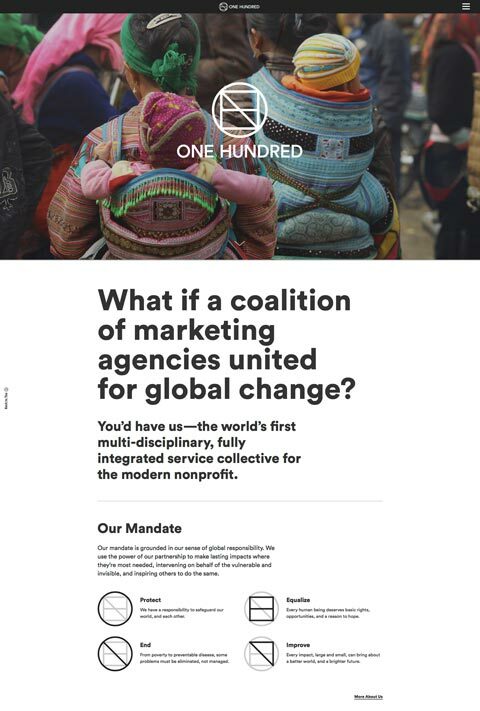 ONE HUNDRED Agency is the world’s first multidisciplinary, fully integrated service collective for the modern nonprofit. My contributions to the project include responsive website creation and cross-functional team collaboration. I worked closely with a diverse team of people to articulate design strategy and brought together experts from various industries to develop innovative solutions. 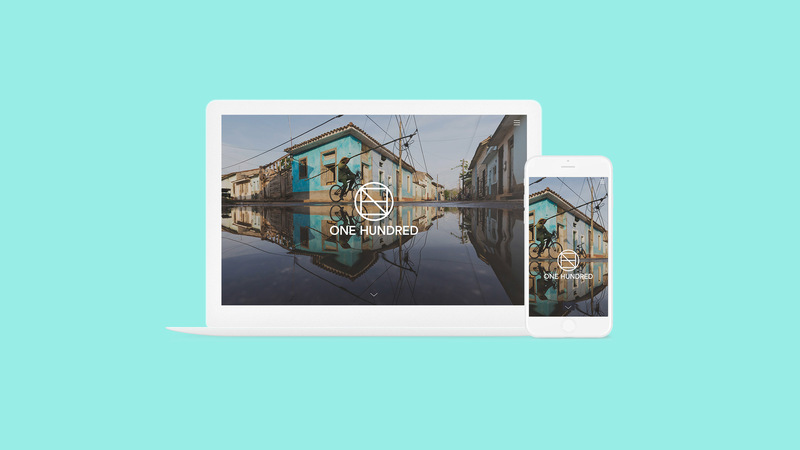 Today, project ONE HUNDRED serves more than 265 nonprofit clients, such as UNICEF and Hope North, each year building assignments that maximized their social impact through efficient and impactful solutions. We created a clean and modern website to represented the mission of the agency: re-align, re-focus, and re-discover the modern nonprofits’ s visions. 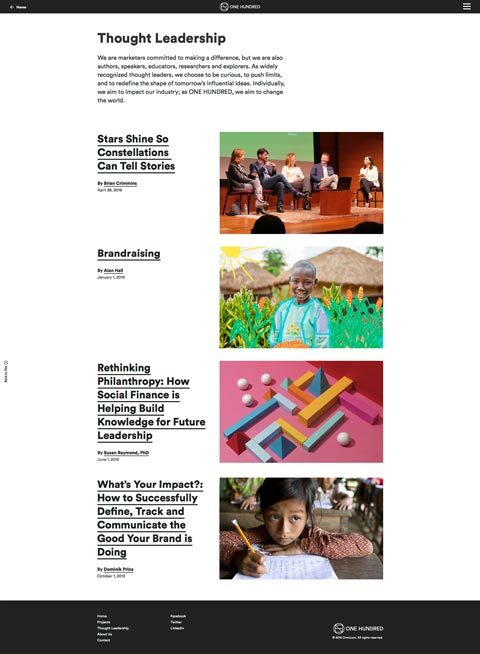 We collaborated with Interbrand to design four icons to visualize and symbolize the agency’s mandate on the social innovation. 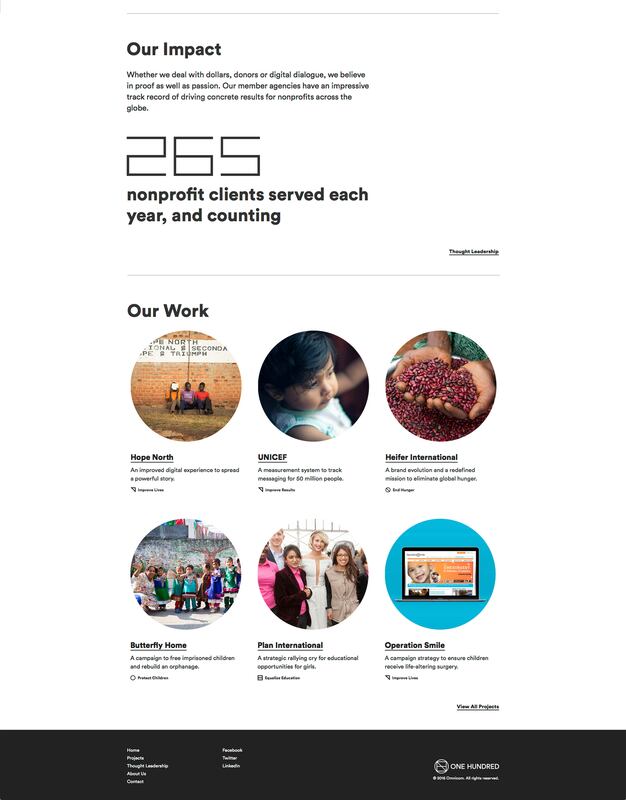 Utilizing the branding across the screens by designing mission icons as the filter and created a simple flow to tell the stories behind each nonprofits projects. 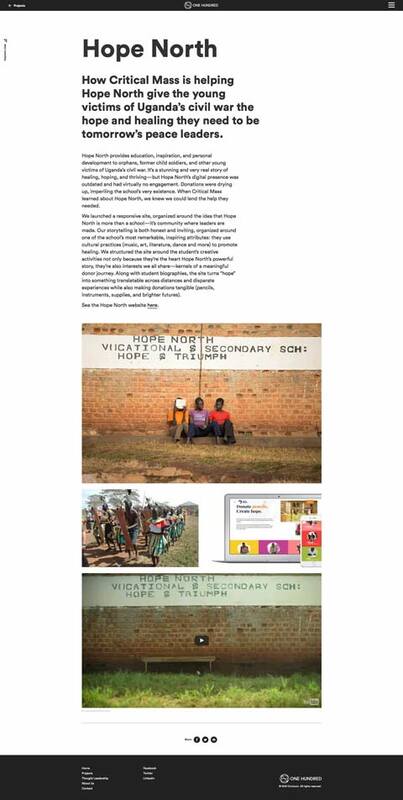 We listed out all the projects that ONE HUNDRED have been involved so potential donators will know our impact on social innovation. Reconnecting the purpose of ONE HUNDRED is to push limits, and to redefine and share influential ideas to impact the community.